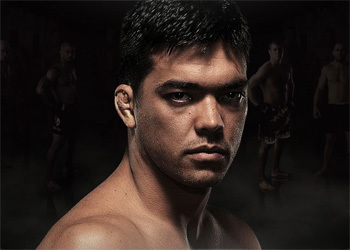 It will be Brazilian sensation Lyoto Machida, not former champ Quinton “Rampage” Jackson, taking on UFC light heavyweight champion Rashad Evans at UFC 98. UFC president Dana White said that the bout was Rampage’s if he wanted it, however the brash promoter told Yahoo!Sports that Jackson is working through a hyper-extended elbow and torn ligaments in his jaw. In addition, exclusive behind-the-scenes footage captures UFC president Dana White congratulating the former champ after his victory at UFC 94. Rampage revealed to White that he hasn’t healed from a secret jaw injury that he sustained while training for his bout against Wanderlei Silva at UFC 92. Although he defeated Keith Jardine with a jacked up grill, it will now require surgery and force the former champion to ride the bench for five weeks without contact. Although Rampage was the organization’s first option, Machida is no slouch as a replacement. In fact, a title shot is long overdue for the 14-0 striker. He is coming off of another impressive performance at UFC 94, where he introduced Thiago Silva’s face to his fist with just seconds to go in the 1stRound. MMAWeekly.com has spoken with Evans’ manager, Jervis Cole, and confirmed that his client has verbally committed to scrapping with Machida on May 23rd.